When the air is warm there’s nothing better than a patio and a cool drink. Here’s WGN’s Chicago’s Best list of Top 10 Al Fresco Dining Spots in Chicagoland. Looking for restaurants with the most notable wine lists in Chicago? You’re in the right place. Each month OpenTable analyzes more than 400,000 new diner reviews. We sort the results by category to help you discover new favorites. It’s a great partnership: you reserve, eat, and review. We listen…and deliver the results for all to benefit. Enjoy! A secret garden/French bistro mash-up, this rustic 50-seat patio is fenced in by a century-old barn. 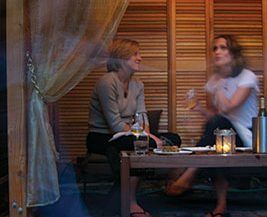 Snag one of the semiprivate cabanas — the loungers and low tables make them ideal for relaxing with friends.